Last May the Wine Media Guild, an association of wine writers, organized a tasting and lunch featuring the red wines of Sicily. I am the co-chair of the organization and was the member sponsor of this event. The wines were from all over the island and ranged in price for $12.99 to $159.99. One of the wines that caught my attention was the Cerasuolo di Vittoria. It sells for around $20, sometimes for less, and is an excellent wine for the price. The production area is southeast Sicily and includes the provinces of Ragusa, Caltanissetta and Catania. It gets it name from the town of Vittoria. The climate in this part of Sicily is hot and dry with very little rain. Cerasuolo di Vittoria is made from a blend of Nero d’Avola and Frappato grapes -- typically 50% to 70% Nero d’Avola and from 30% to 50% Frappato. Cerasuolo in Italian means cherry and the wine lives up to its name. Frappato is a low acid grape and contributes the flavors of cherry and strawberry. On its own it makes a light bodied wine. 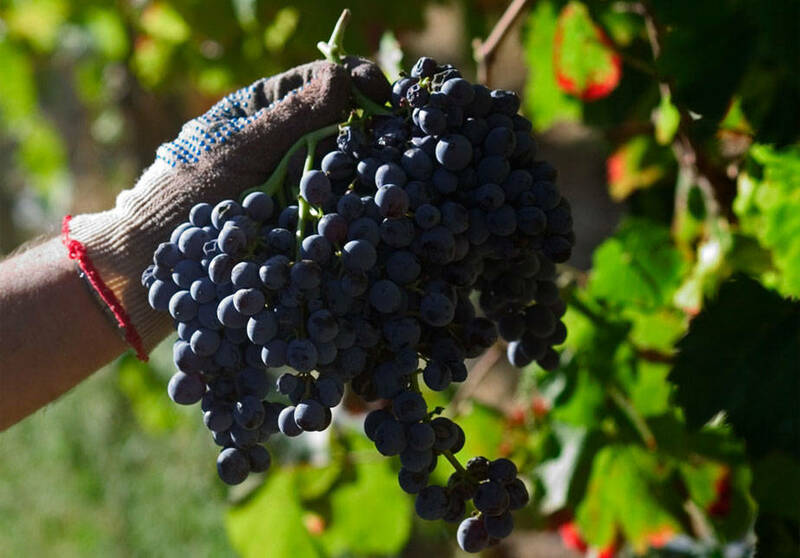 Nero d’Avola has high sugar levels and very firm acidity, which gives the wine its structure and body. If the wine contains a greater percentage of Nero D’Avola, it will age much longer. The wine should be consumed within the first ten years though there are some that could age for 15 years or more. Cerasuolo was the first wine from Sicily to be granted the DOCG and producers can also make a DOC version of the wine. The minimum alcoholic content is 13%. The wine is released into the market only after it remains for three months in the bottle but not before the June 1st, following the harvest. For Cerasuolo di Vittorio Classico, the period of aging in the bottle cannot be less than 8 months and cannot be released before March 31 of the second year following the harvest. The wine has hints of red fruit especially cherry with a touch of strawberry, good acidity and a nice finish and aftertaste. Serve this wine with lentil soup, roasted meats or pecorino.